Google, Apple, Amazon… They must be doing something right. According to ERE.Net, 80% of companies with more than 10,000 employees either have used or currently use video interviewing technologies. As more companies begin to utilize these technologies, it becomes increasingly apparent that you, the interviewee, must be prepared. 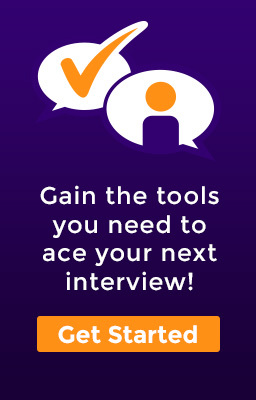 The following outlines a typical day in how to prepare, how to execute, and how to follow up regarding a video interview because remember, the person who interviews best, wins! 1) Determine the Best Hardware to Use – Between smartphones, tablets, laptops etc… There are a plethora of options available at your disposal. Investing in one of these platforms, or even borrowing one from a friend could prove beneficial in your interview. 2) Select Proper Location – Ideally, a closed, quiet, mono-color room is the best case scenario. This allows you to shut out all outside noises and distractions, and allows for full focus on the interview at hand. You should have the camera show from about the waist up, and not just showing your face. 3) Test All Technologies – Test your connection, test your lighting, test your camera, test your microphone, test your sound, test your grandma, test your dog. MAKE SURE EVERYTHING WORKS! 4) Schedule at Least One Mock Interview – Preferably with Aced My Interview 😉 – Nobody ever failed an interview by being too prepared. 5) Have a Backup Plan – Listen, buddy, glitches happen. Always be prepared and have a plan B in case something goes wrong so you don’t have to worry about troubleshooting when you’re in the zone. 1) Test ALL Equipment – Remember testing everything before? Well… TEST THEM AGAIN! 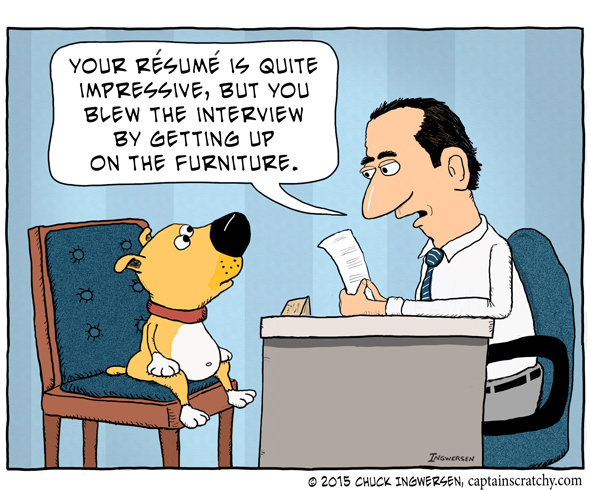 2) Dress Professionally – Now this is an interview after all. Dress professionally, but nothing too flashy or over the top. Connecting with a friend too and seeing how you look on their monitor is a good resource to utilize to make sure everything is in order. 3) Turn Off Background Apps and Distractions – Nothing worse than nailing your interview, only for the stream to freeze because someone is hitting you up on Tinder. 4) Remember the Nonverbals – Since this is a video interview, reading nonverbal cues are not as easy as an in-person interview. You will want to look at yourself in the monitor, but try to focus as much as possible on the actual webcam itself. Try to keep eye contact as best as you can, and smile at appropriate times. Hand gestures also play a major key in getting your points across. You check out the most common Nonverbal Interview Follies here. 5) If You Need, Use Notes – We all do our research before interviews, but video interviews offer a unique situation. Not everything in the room will be on screen, so jotting down notes, comments, and questions on a note card proves to be a useful resource if you need it. 6) Take a Pause to Gather Yourself – When responding, take a moment before you speak. Sometimes the connection is poor and the sound does not automatically translate on the other screen. By taking a small second before answering a question, you won’t end up awkwardly talking over the interviewer and coming across as rude. 1) Write a Thank You Note – As with most interviews, a follow up thank you note to your interviewer could prove to go a long way in the decision making process. 2) Unwind – YOU DID IT! After prepping and acing your interview, it is nice to reward yourself for a job well done. I, personally, am a fan of Ice Cream.